I spend way too much time exploring possibilities with my Silhouette cutting machine. 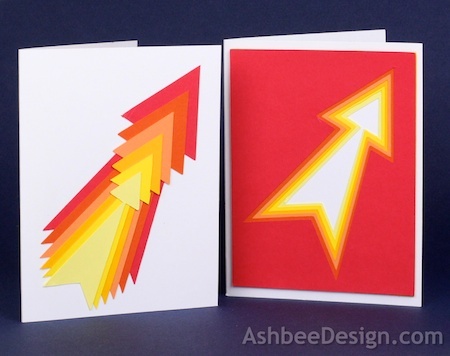 I recently completed a series of all-occassion cards made by stacking brightly colored paper together. The concept comes from the contour lines on a topographical map (another passion of mine!). 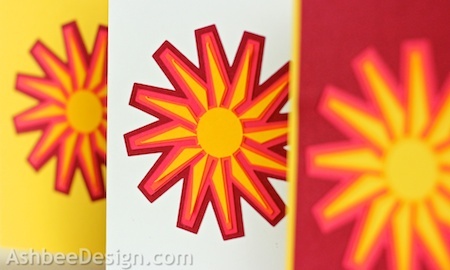 My first design was based on a geometric sun pattern I created, and then re-sized and cut. 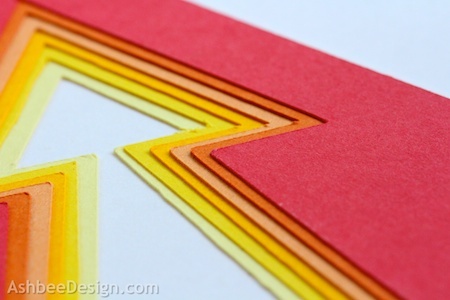 It is cut in multiple layers using paper in gradated colors. 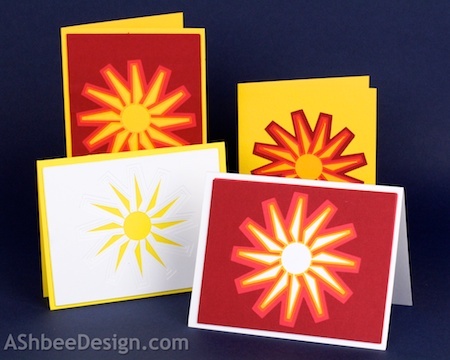 What I especially like about this project is that the cut provides both a positive and negative shape and both pieces can be used creating two cards. I'll be uploading these files to the Silhouette online store in groups. 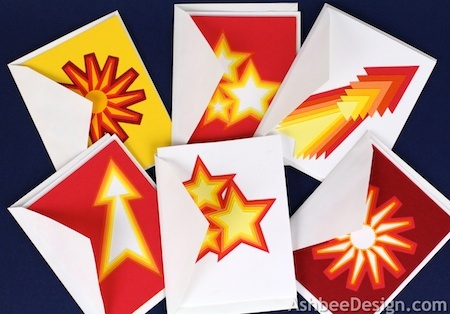 The first three files are for the sunburst, triple-star, and arrow and the cutting files are available through the links below. Cutting File for Geometric Sun here. Cutting File for Arrow here. Cutting file for Triple Star here. 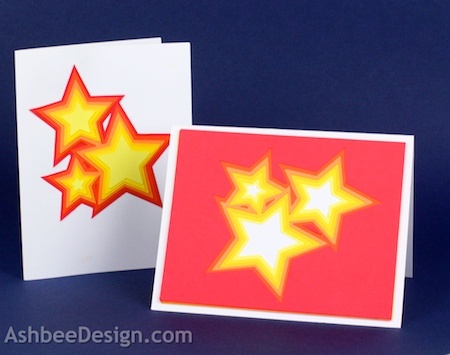 I also have created an extensive tutorial on making these cards here at my sister site, Ashbee Design Silhouette Projects. I plan on making groups of cards to give a Christmas gifts. They have been sized to fit perfectly in a standard invitation envelop. So have you started making your Christmas gifts yet? Here is an idea for you! Fantastic, I think my favourite is the arrow. They look wonderful in a group.